Ravishing attire to enhance your beauty. 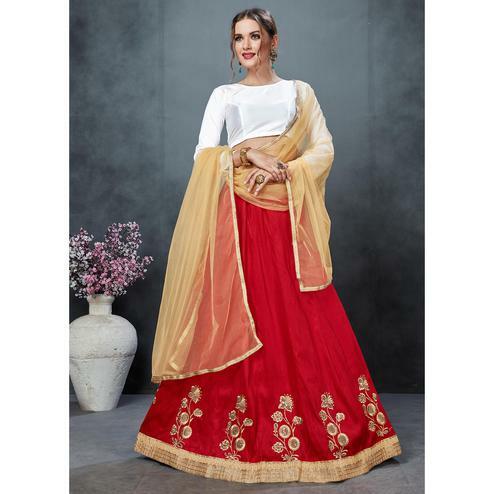 Be an angel and create and establish a smashing influence on anyone by wearing this beige-red designer lehenga choli. 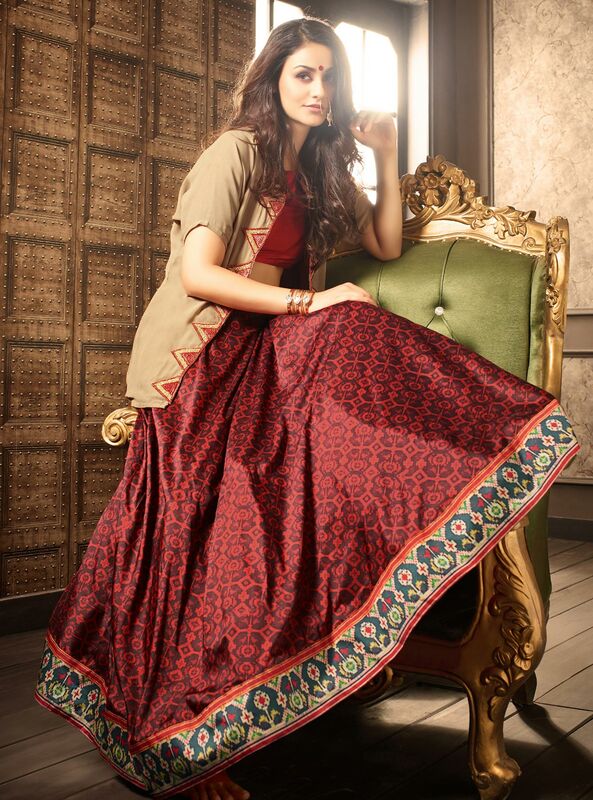 This semi-stitched lehenga is beautified with print on tapetta silk fabric with santoon inner. The un-stitched choli is made of tapetta silk fabric, along with embroidered georgette koti and the dupatta is made of pure chiffon that gives a flawless look. Specially designed to wear for wedding functions, engagement ceremonies and special occasions. Teaming this dress with classy jewelry would be an added attraction.